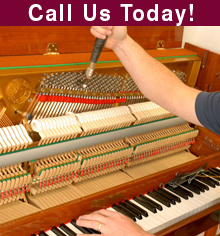 This concert piano technician is a highly skilled craftsman who has dedicated years of training and practice to hone his skills, and just like the famous pianists they work with, they are the very best at what they do. 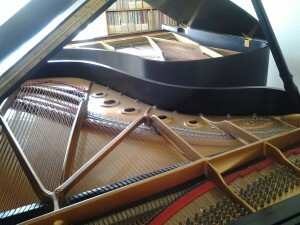 Preparing the concert piano involves tuning, voicing, regulation, and repairs, but only after careful evaluation of the piano, the pianist’s needs, and the repertoire for a given performance. 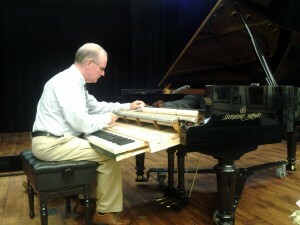 This piano was being prepped for Shirgeru Roster Concert Artist Junko Ueno Garrett for a recital in Tampa, where a magnificent performance of the Bach Goldberg Variations was rendered! There are many different musical works written for “Two Piano”, both in classical and jazz genres. Some of the composers include: Bach, Mozart, Brahms, Chopin, Mendelsson, Bruch, Bartòk, Martinu, Van Williams, Harris, Malipiero, Czerny, Gould, Stravinsy, Rachmaninoff, Arnesky and Ellington.